Stories from the Toyshelf: Blundercats Ho! If you were to arrange the cartoon/toyline properties of the 80’s directed towards boys into tiers based on their popularity I think almost everyone would agree that Transformers, He-Man & G.I.Joe would easily take the top tier. After that, things get a little trickier, but if you ask me, on the second tier you would find properties such as M.A.S.K., Gobots and those half man half animal heroes and villains from Thundera, the Thundercats. In 1985 a new cartoon and toyline were released to the public with hopes to replicate the success of He-Man and other similar properties. 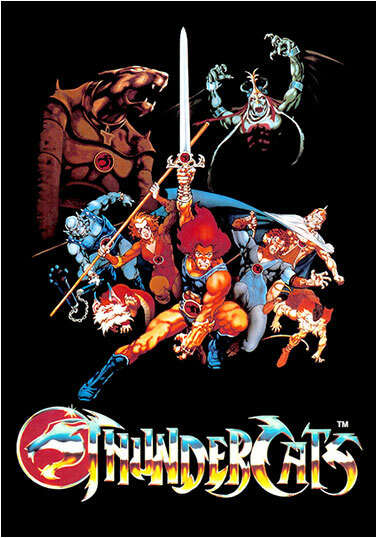 Thundercats was the story of a group of half human half cat people who escaped from their dying planet of Thundera and settled on a new planet they dubbed Third Earth. 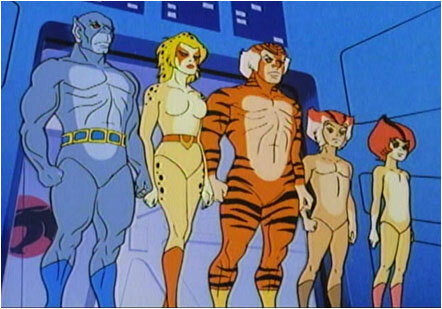 The original lineup of characters consisted of their leader, Lion-O who wielded the powerful Sword of Omens, the stealthy Tigra, strongman Panthro, speedy Cheetara, crafty kittens Wilykit & Wilykat and of course the cliché mascot Snarf and ghostly sage Jaga. Of course you couldn’t have a group of heroes without a bunch of villains to antagonize them. So for the bad guys we got the evil Mutants who followed the Thundercats all the way from Thundera to Third Earth. We had Monkian, Jackalman & Slythe. But that wasn’t all; waiting on Third Earth was the greatest enemy the Thundercats would ever face, the evil Mumm-ra the ever living. While not that groundbreaking, the very first episode of the Thundercats, entitled “Exodus” will forever be burned into the minds of 80’s boys everywhere for one curious design choice by the writers/animators. 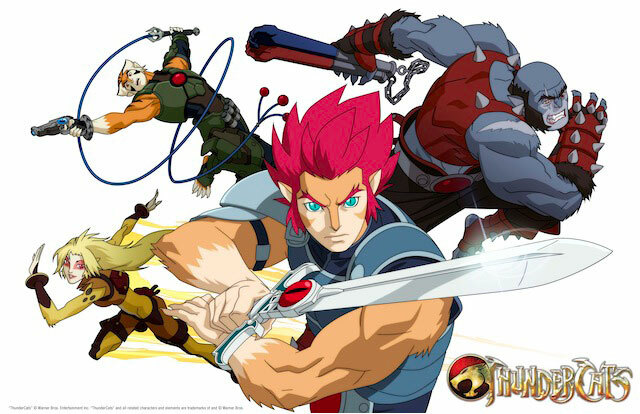 For the first part of the episode, while they were fleeing from Thundera, they decided to have the entire Thundercats crew portrayed without their signature uniforms. While of course they didn’t show anything graphic, they looked practically ….. naked, it was quite a lot to process for pre-teenage boys. I remember owning a Thundercats stickerbook, which had one sticker of Cheetara in her pre-uniformed state. It was the most coveted sticker amongst my friends and I. But when I finally got one, my friend guilt tripped me into covering her body up with a black marker saying I would be committing a sin if I didn’t do so (that’s strict Catholic upbringing for you). 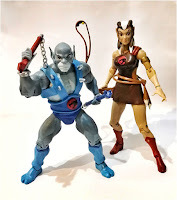 Anyway, despite watching a lot of the cartoon, which incidentally had probably the best intro song for a cartoon in the 80’s, I never really collected the toys so I have no nostalgic connection to them. 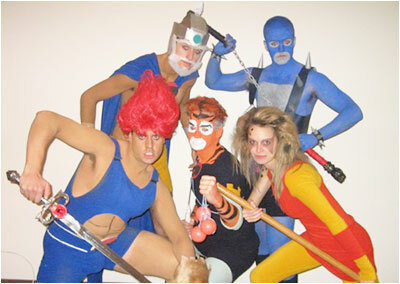 And while the Thundercats were quite popular in their day, they never really matched the popularity of Joes, Transformers or He-Man. And they never managed to sustain any nostalgia-based revival in the modern cartoon or toy era like the other three, who have enjoyed varying degrees of success. The first major revival effort came in 2011. Warner Bros animation started a new series for Thundercats and to be fair, it was a really well made, featuring extensive modern redesigns of all the characters and overall better storytelling. They gave a genuine effort in fleshing out more the personalities and characters of each Thundercat. They also added new fresh twists to arcs to the cats, like making Lion-O and Ttgra actual brothers both vying for the throne of Thundera. They even had one member of the Thundercats eventually turn and join the side of Mumm-ra. Overall, the series had a more mature and darker feel. To accompany this new series was of course a toyline made by Bandai. Unfortunately though, this is where everything went wrong. While Bandai is an accomplished toy company, they really dropped the ball on this line. The figures just weren’t very enjoyable, full of gimmicks and overall came up short in quality. The main line was obviously directed towards a younger market and not for adult collectors so it didn’t really interest me. They did however try and produce a “classic” line aimed at collectors and based on the original 80’s designs. But these turned out even worse and the line was cancelled before we could get all the Thundercats. All we got was Lion-O and Tygra. And unfortunately, despite being a real good show, the new series only lasted one season before being cancelled. I’m thinking it was the failure of the toyline that ultimately killed the series. 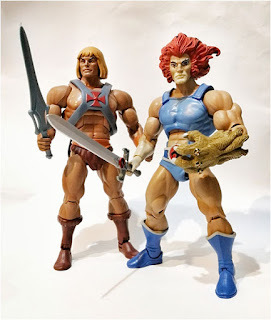 Then in 2015, Mattel, makers of He-Man and a very successful Masters of the Universe Classics line announced that they had acquired the license to Thundercats and were launching a new classics line for using the same scale and molds as their He-Man line…basically making them compatible. 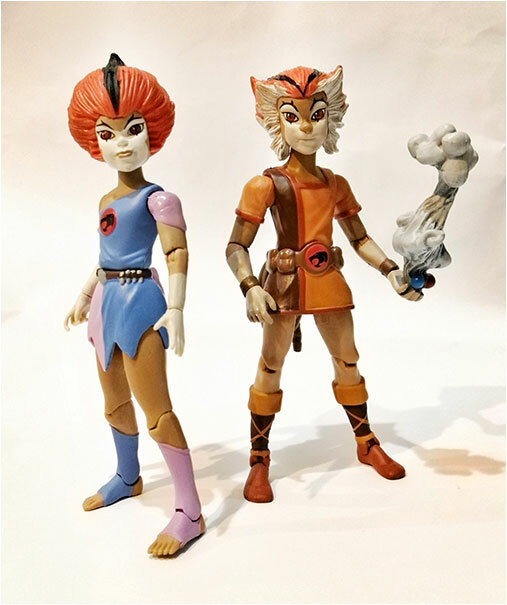 This was a dream come true for Thundercats fans out there since many believed that Mattel really should’ve gotten the license way back in 2011 instead of Bandai. 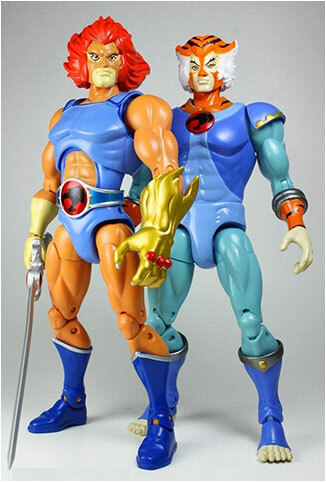 Anyway with that announcement, they released prototypes of their first 2 figures…Lion-O (of course!) and the evil mutant Jackalman and they were…glorious! So the plan was simple, basing it off their Masters of the Universe subscription model, they would release a new character every month starting at the back half of 2016 and then have a full-blown 12-figure release schedule in 2017. 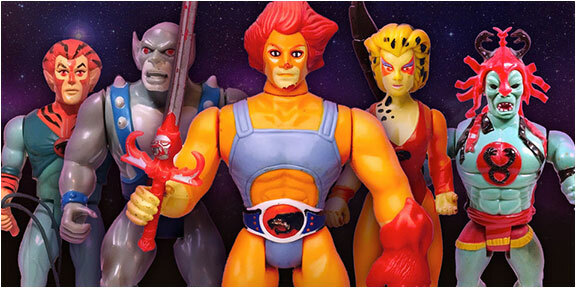 They revealed the lineup for 2016, which would consist of Lion-O, Jackalman, Pumyra (a later addition to the Thundercats team), Panthro, Jaga & Grune (a Thundercat turned evil) plus a special subscription only figure of Mumm-ra. Now while I never cared for the 2011 line, these new figures, sporting fantastic sculpts from the Four Horsemen were a must have for me. The fact that they were made to be compatible with their He-Man line, which I had faithfully collected for years was just too much to resist. I was ALL IN. And then just like that, things started to unravel. First of all, they announced production delays and because of that, only 4 of the original 6 figures announced would be released in 2016. Which was fine, we figured we would get the rest in the following year. Then a few months later, they dropped the bomb…the line was cancelled. 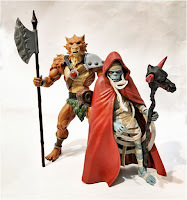 After the initial 4 figures (5 including Mumm-ra) Mattel would be closing shop on the line. They did manage to sneak in a two pack of Wilykit and Wilykat as SDCC exclusives but that was it. This was such a shame as the figures that Mattel produced were really really good! But once again, fans were burned with yet another aborted revival attempt and another incomplete Thundercats lineup. 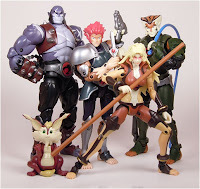 Ironically, the only successful Thundercats line was one produced by Diamond Select in their Minimates line. In a span of a couple years they managed to release minimates versions of every single relevant Thundercats character. 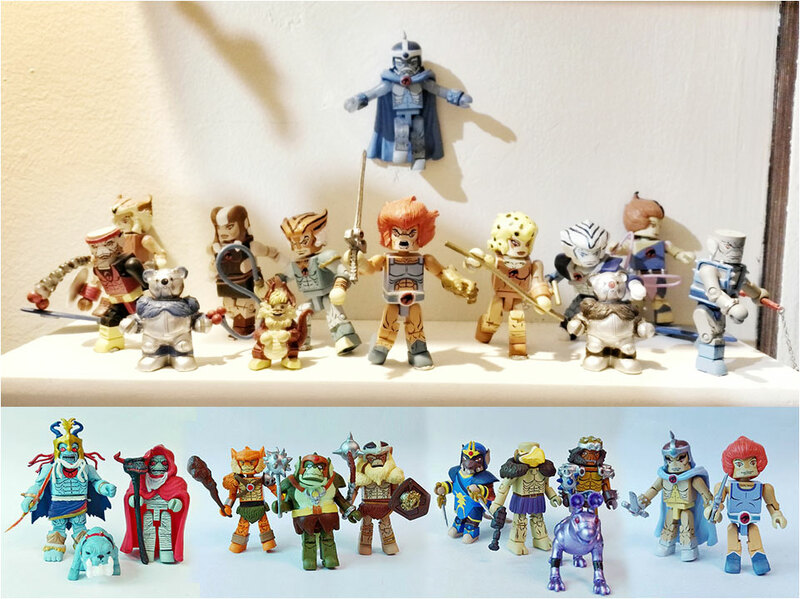 Admittedly though even if I dig them, the Minimates highly stylized design isn’t really for everyone so I wouldn’t classify it as a mainstream toyline for the cats. But…there is hope. 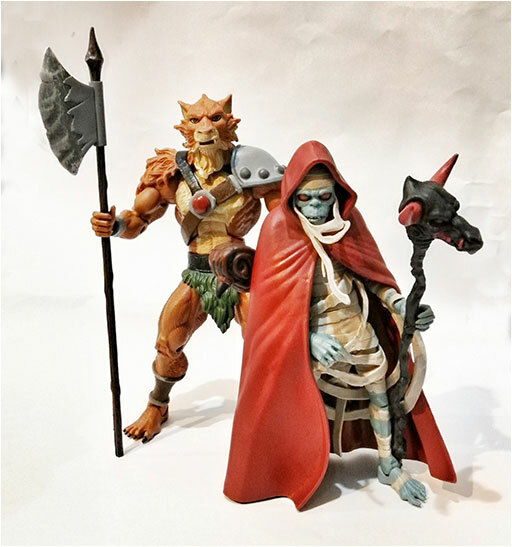 Thundercats wasn’t the only line Mattel cancelled in 2016, they also ended their long running Masters of the Universe line as well, but the license for that was picked up by an indie toy company Super7 who have since continued the Masters line with Mattel’s blessing. They have announced that they fully intend to pursue the Thundercats license, which is owned by Warner Bros as well so they can continue where Mattel left off. They have sounded pretty positive that they can do this but have stated that it will take time. So I’m at least optimistic that they will eventually manage to finish up the original Thundercats team, they have to because dammit! 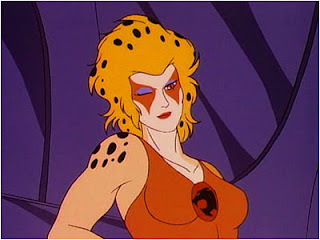 I needs me a Cheetara!